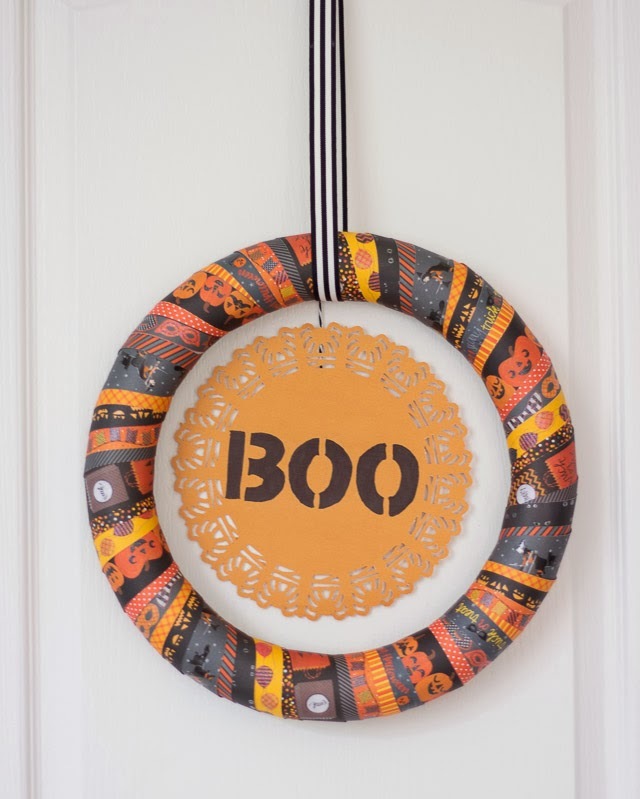 This easy Halloween wreath uses Martha Stewart adhesive borders to make a wreath – making this project almost as simple as “peel and stick”! 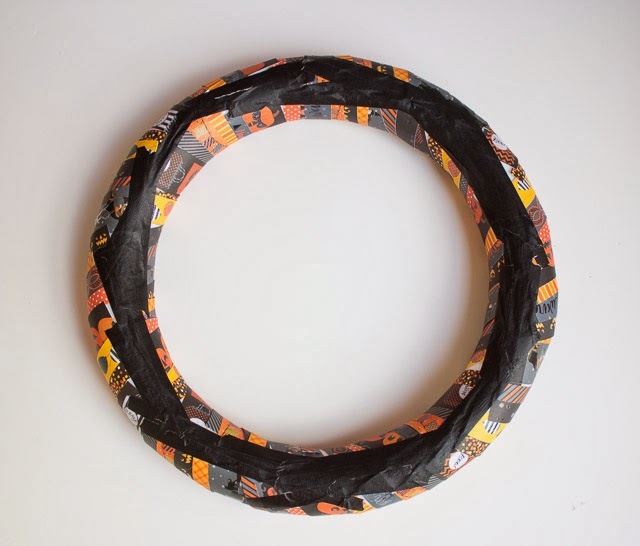 It has a similar look to a ribbon wreath but is a lot less expensive and time consuming. 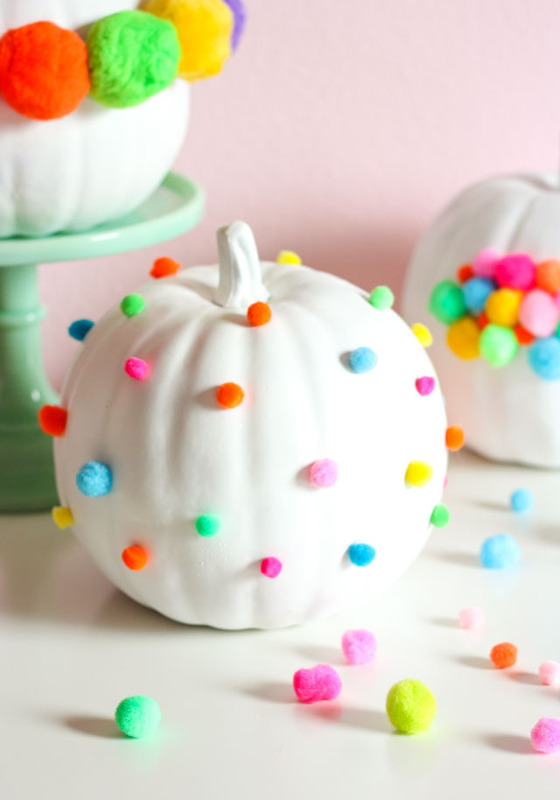 You only need a few supplies to make it and can embellish it however you want. Martha Stewart adhesive borders (I used the Animal Masquerade Border Pad). 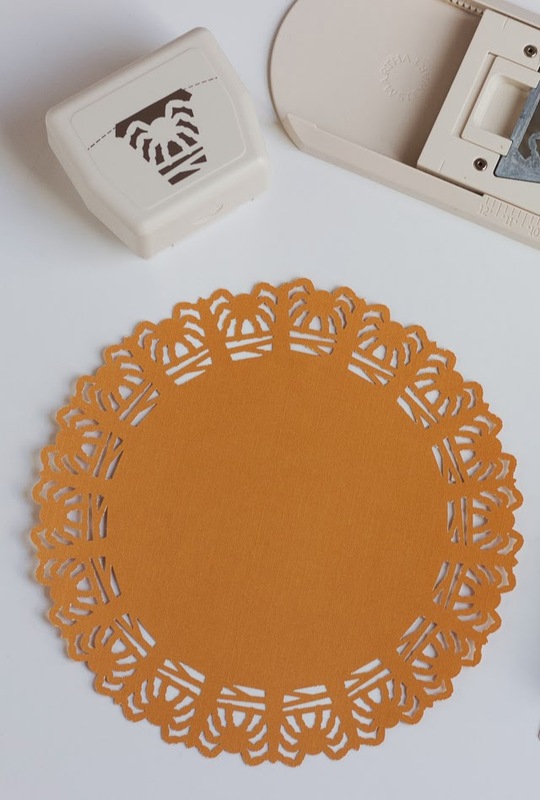 These pads cost around $9 and can be found at your local craft store or online. 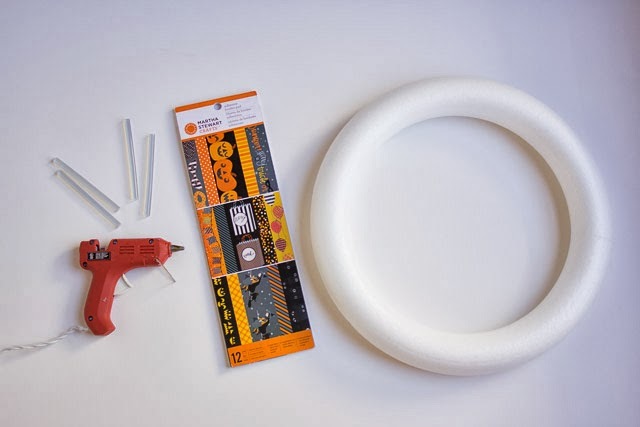 You will use a little less than one pad for this wreath. 1. Tear out the sheets of borders from the pad and cut each sheet in half. 2. 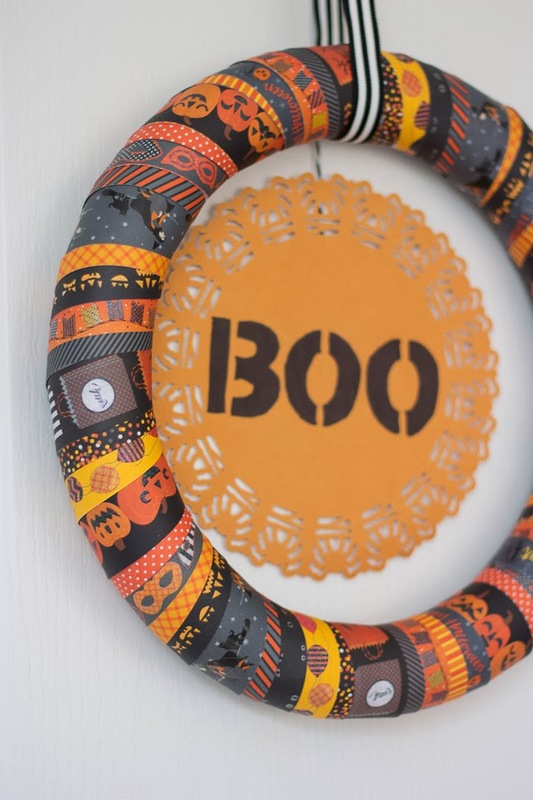 Peel off one of the adhesive borders and wrap around the wreath form. 3. 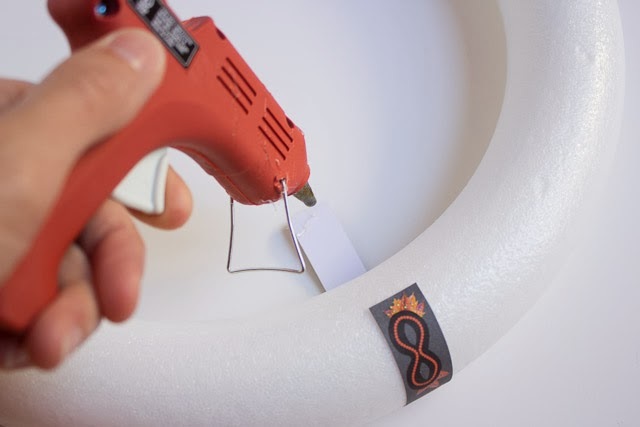 I added a dab of hot glue to each end before sticking it on the form to make sure it stuck. 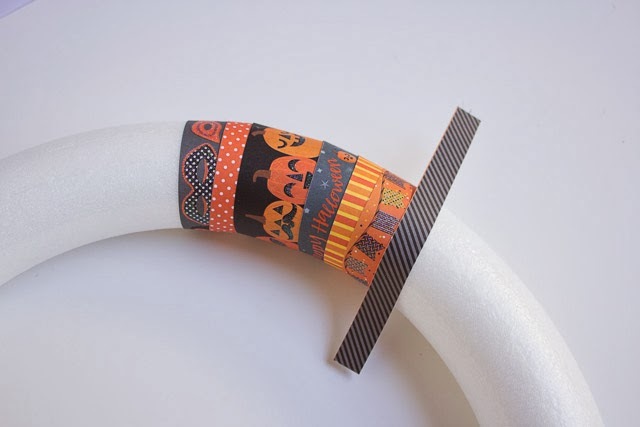 However, you could skip this step if you tape off the back of the wreath as shown in Step 6. 4. Continue wrapping the borders around the wreath. I mixed up the designs randomly. 5. Once the full wreath is covered it will look like this on the front! 6. It won’t be so pretty on the back, but that is OK – you won’t see it! 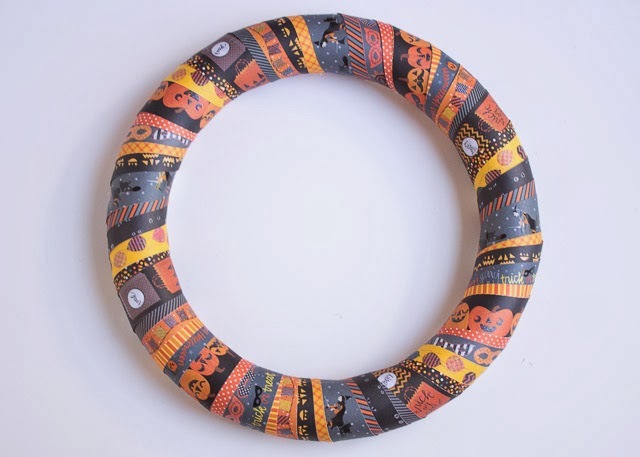 I ended up covering the back of my wreath with thin black masking tape to cover up the parts of the foam wreath showing through and to hold down the borders securely. Even with hot glue a few of the borders came loose, but the masking tape on top did the trick. Have you ever used one of these circle edge punches? I think they are one of the coolest inventions ever. 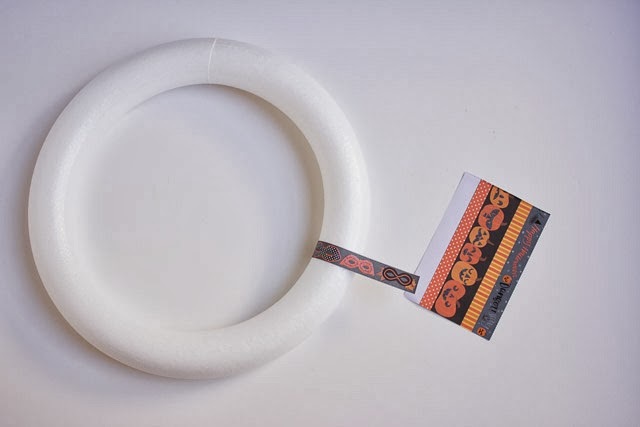 They can make a perfect circle with fun borders like this spider lace edge. 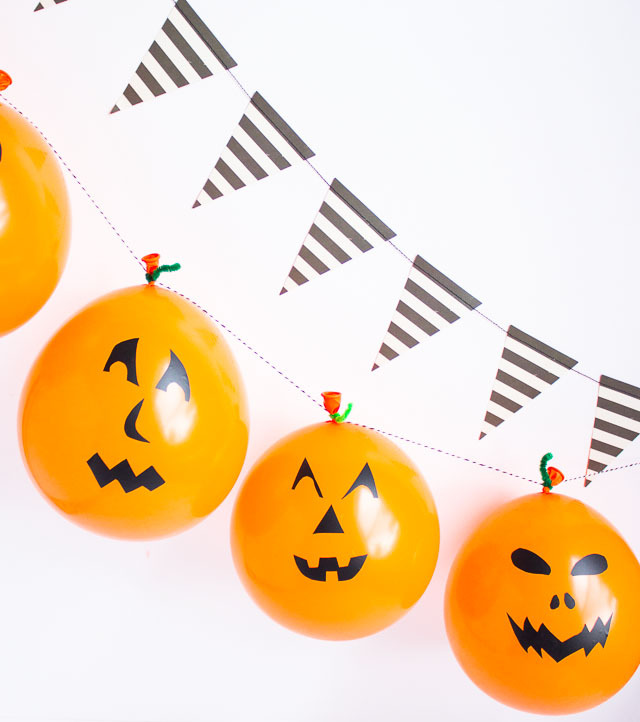 Martha Stewart Crafts offers a ton of different edge designs. I think I will start building a collection of these! 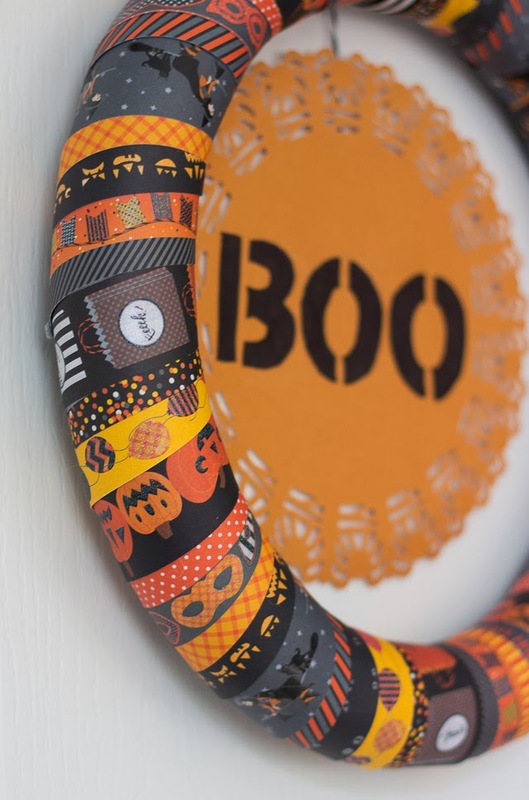 After I cut out the circle with the edge punch, I used my letter stencils and a black marker to write “BOO”. 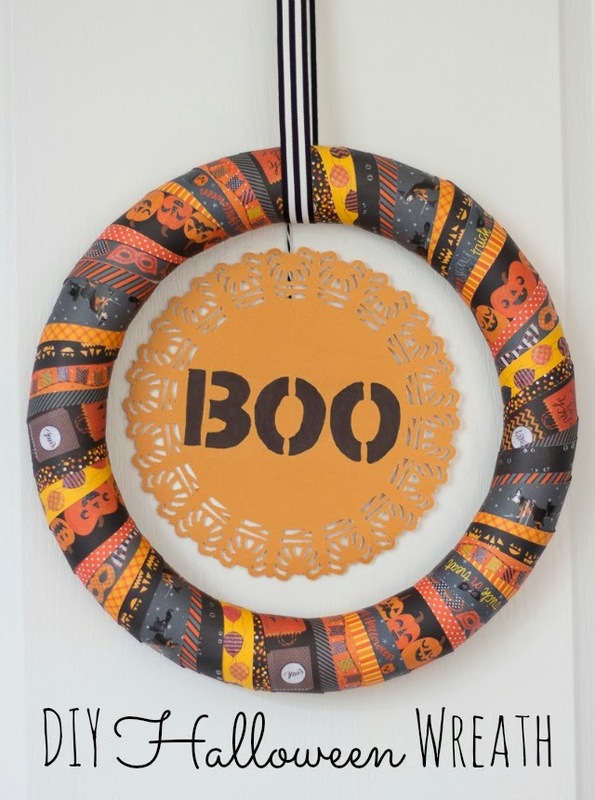 I wanted it to coordinate with the BOO rug I made for our front door! 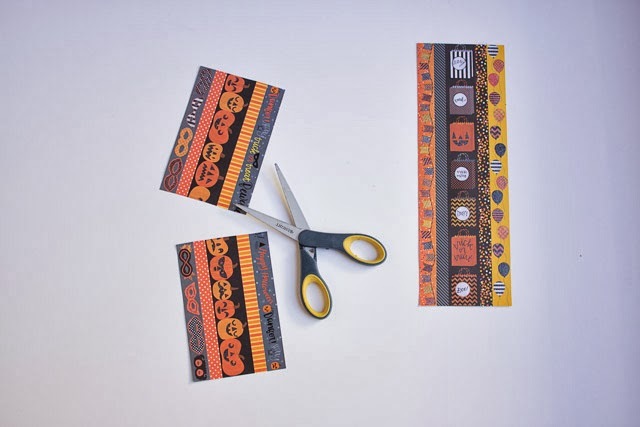 Martha Stewart Crafts makes these adhesive borders in different designs for each holiday so you could easily adjust this for other holidays like Christmas or Valentine’s Day.